The central government’s top policy think tank, Niti Aayog, has identified five areas -- healthcare, agriculture, education, infrastructure and transport -- where artificial intelligence (AI) could produce huge benefits. The think tank has released a discussion paper that showed AI could make healthcare more pocket-friendly for several million citizens in the country. It also suggested the use of AI in agriculture to increase farmers' income and cut down on wastage. "In the area of education, AI can improve access and quality. When put to infrastructure and transportation sectors, AI can improve connectivity and create safer modes of transport," the paper said. The paper also identifies barriers to using AI such as lack of expertise, absence of data-enablement systems, high resource costs, lack of collaborative approach and privacy concerns. In order to overcome these, the think tank suggests that the Union government should come up with a Centre of Research Excellence. Also, Niti suggests establishing International Centres of Transformational AI that would see private participation as well. According to a report in The Economic Times, the Indian government initially plans to bankroll AI implementation from the Rs 200 crore allocated to the Atal Innovation Mission. In partnership with private players, the government may boost the sum once the strategy paper gets finalised, said the report, adding that the amount of Rs 200 crore ($30 million) talked above was small compared to China’s allotment of $150 billion. Niti Aayog’s AI paper is one among a series of digital steps the think tank is taking to solve socio-economic problems faced by the country. 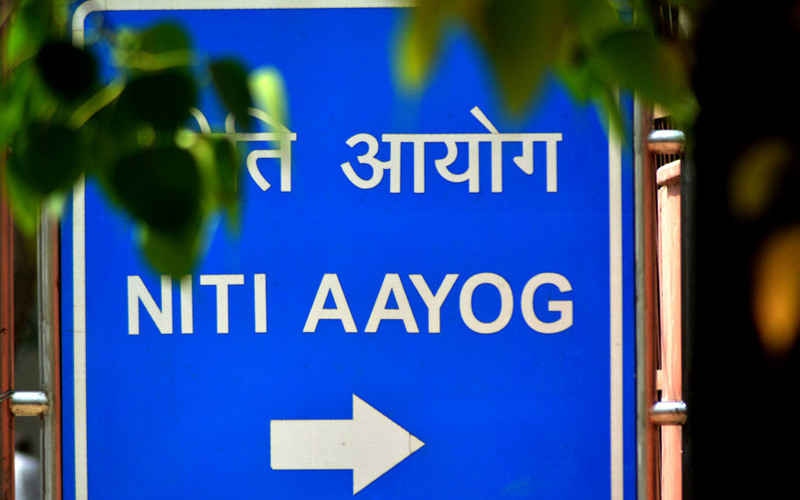 In April, Niti Aayog said it had tapped IIT-Delhi's artificial-intelligence tool that reveals and predicts socio-economic conditions of areas right down to the district level using satellite images, said a report. The project is expected to help policymakers take better decisions across healthcare, education, agriculture, sanitation, employment and others. Earlier, Press Trust of India reported Niti Aayog chief executive Amitabh Kant as saying that Indian firms can use state-of-the-art technologies and emerging tech such as AI to reimagine production and bump up the economy. In January, Niti Aayog had said it was testing the waters to deploy blockchain in education, health and agriculture. The think tank is developing a prototype to take advantage of the new technology in key sectors, a senior government official had said.